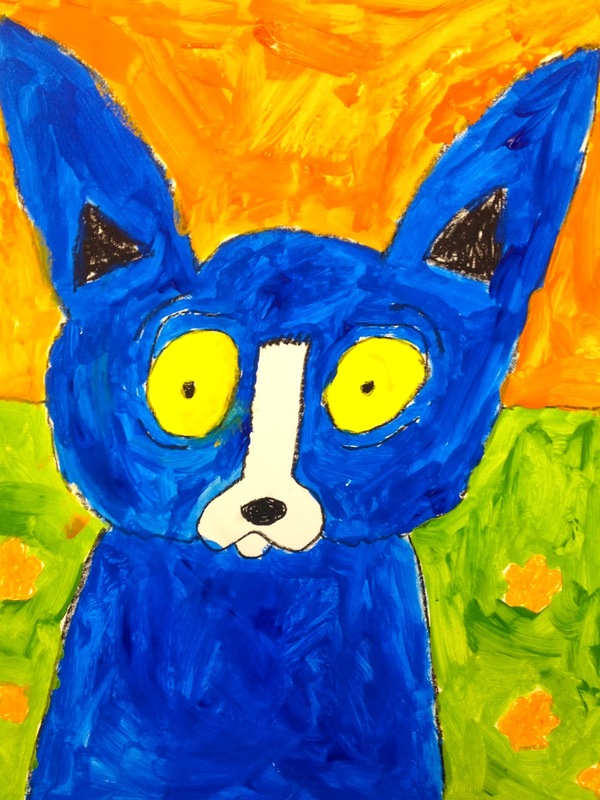 This week my K-5 art classes tackled the "blue dog" by George Rodrigue. The children used black crayons to draw the dog and orange crayons to draw the flowers on the grass. 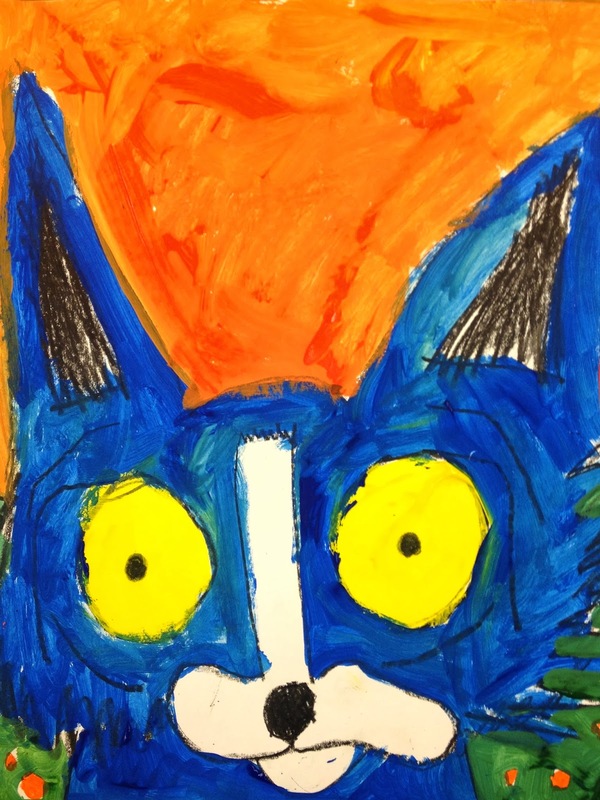 Then they used tempera paint to fill in. We spoke about warm and cool colors. We also practiced color mixing with primary colors. I gave the children blue, yellow, and red paint and they had to mix the orange and green. I think the expressions on the faces are just are terrific.